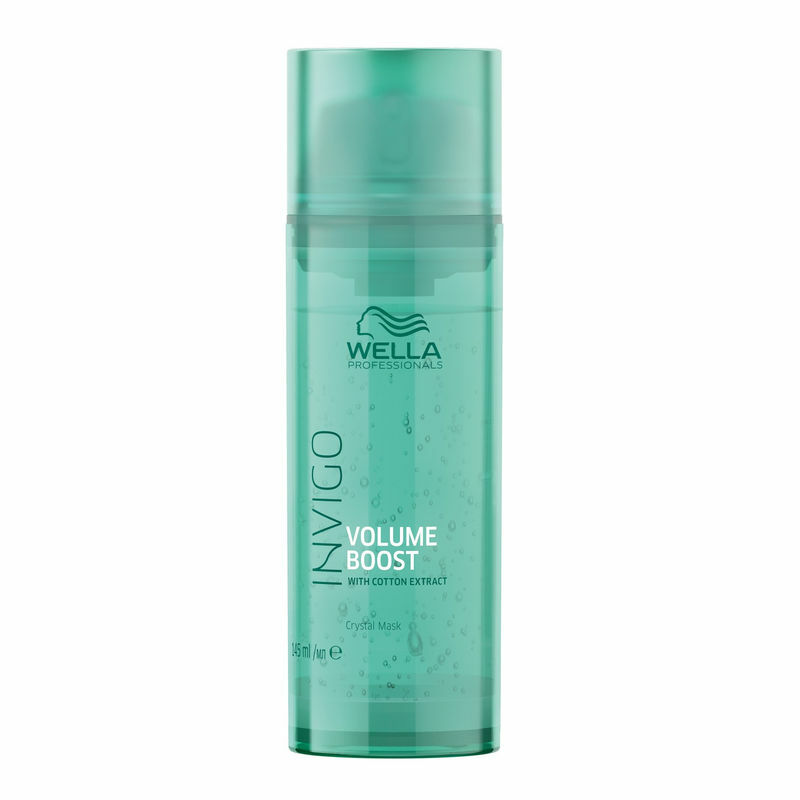 Wella Professionals Invigo Volume Boost Crystal Mask, with Volume Boost-Blend cares for hair with lightweight formula. The first ever one of its kind translucent rinse-out treatment with Spring Force Blend: bodyfying polymers and lightweight conditioning ingredients to provide fullness, leaving the hair soft to the touch without weighing it down. Cotton Extract adds stability and perfect softness without weighing the hair down, leaving it perfectly smooth and soft to the touch. 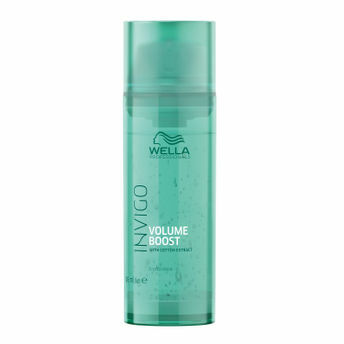 This easy-to-use hair mask will instantly leave visibly uplifted locks with salon-worthy shine and a soft-touch finish.